Enter any domain name or IP address to view information on its ownership and status. Find all domain names associated with a specific email address. 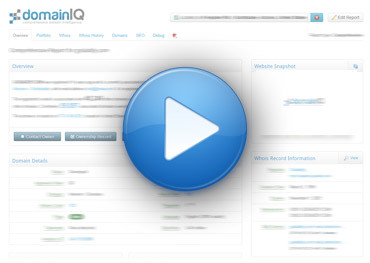 Find all domains associated with a specific person or company. Find out everything about a domain name, its owner, the server it's hosted on, its ownership history, similar domains and much more. domainIQ is an internet research tool trusted by government agencies, domain investors and legal firms. With powerful and practical tools, and reports that are comprehensive, yet easy to understand, domainIQ is domain name research perfected.